Welcome to the Americinn Lodge & Suites Wisconsin Dells, Wisconsin. We know there's no place like home, but the Americinn Wisconsin Dells will feel like your home away from home. Waterpark Capital Of The World With 18 Indoor And 3 Outdoor Waterparks To Choose From. Complimentary Home-Style Breakfast, Available Daily. Conveniently Located Near All The Attractions And Excitement. 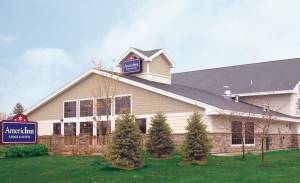 The Best Western Ambassador Inn of Wisconsin Dells Has Had A Facelift! Fitness Room & Extra Warm Indoor Pool. Now Offering A Hot Breakfast. Christmas Mountain Village greets its guests with a large and enchanting entrance-a sure sign of the outdoor adventure to come. Huge pine trees line the driveway deep into the heart of the resort property. This resort exists in a world of its own, a world that's all yours to explore and experience. Beautiful farmland, rolling hills, woods and golf courses make this the perfect Midwest vacation destination. One of our top picks in Wisconsin Dells. 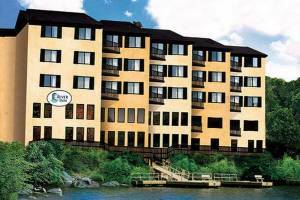 This Wisconsin Dells hotel features rooms equipped with a cable TV and free Wi-Fi. 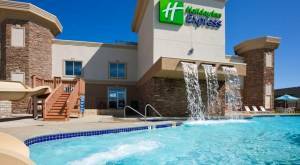 It boasts both indoor and outdoor pools and Wild Rock Golf Course is a 3-minute drive away.Each room at the Holiday Inn Express Wisconsin Dells features a microwave and refrigerator. Each room also includes a comfortable seating area. Suites also offer a full kitchen. This hotel serves a daily hot breakfast with eggs and bacon or sausage. Cinnamon rolls and biscuits with gravy are also provided. 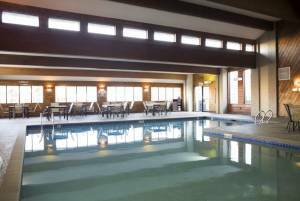 The Wisconsin Dells Holiday Inn offers a fitness room and relaxing whirlpool. 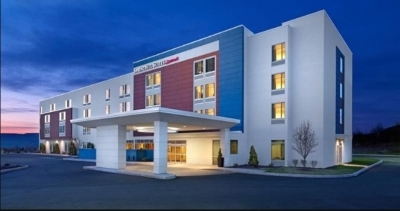 An on-site game room and a 24-hour shuttle to Ho-Chunk Casino are available. Spend your Wisconsin Dells vacation with spectacular views just walking distance from downtown. The River Inn team has taken great effort to create one of Wisconsin Dell's first Boutique Hotel. This perfectly located Hotel has been undergoing extensive renovations. Focused on modern river theming which includes, upscale bedding on 15 inch pillow top "Wink mattresses" comfortably covered by triple sheeted microfiber linen, 50 inch LCD TVs with high definition programming, in room Bluetooth speakers, convenient USB plugins, LED lighting and all new temperature control units. Plus, the Riverside Deck and Boat Dock will be added back to further the Hotel guest experience. The unique Indoor Pool and hot tub that are located on the first floor of the Hotel 20 feet from Wisconsin river's edge, plus in addition to the Hotel an onsite Bar and Restaurant is scheduled to open this summer. Includes Water Park Tickets & Walking Distance Of Lake Delton's Most Popular Dining Spots. Experience The Famous Waterparks, Nature And Wildlife, Or Play A Round Of Golf. 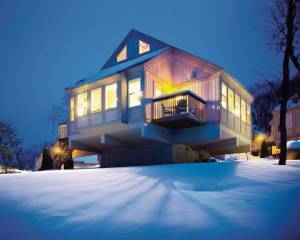 For an affordable Wisconsin Dells destination visit the charming Wintergreen Resort a, where they take great care to ensure every visitor has a friendly, comfortable stay. 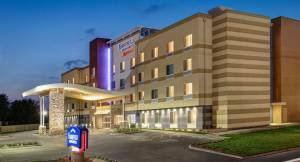 The guest rooms have been recently updated with beautiful new pillow-top beds, luxurious comforters, and Flat screen HDTVs. From the moment you enter Wintergreen it is as if you stepped back into an era of Victorian charm and hospitality reminiscent of the past. The immaculate guest rooms and suites expand on the elegant, Victorian theme yet offer all the comforts and amenities we enjoy today: 32" Flat screen HDTVs, Digital Cable TV channels, Free WIFI, Voicemail, Microwaves, Refrigerators, Coffee makers, Iron and Ironing Boards, AM/FM Clock Radio with Alarm, Sitting Area, Room Service during Restaurant Hours. 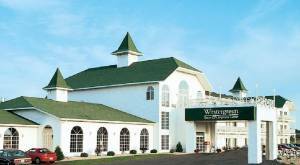 The onsite restaurant, Wintergreen Grille, offers one of Wisconsin Dells' tastiest, most affordable Breakfast Buffets, as well as, a full breakfast and lunch menu featuring delicious homemade selections. Show the coupon you receive for staying at the resort and you will get either 10% off your entire order or any child under 10 is allowed to choose one FREE meal off the Kids' Menu with each adult entree purchase. The Wintergreen Lounge has a nightly Happy Hour from 5 to 7 pm featuring $3 Margaritas & Daiquiris | $2 Beer Tappers | $1 Kiddie Cocktails, light fare and the ideal ambiance to help you relax and unwind after a day of work or play! Located Next To Tanger Factory Outlet Center.